Motorola announces full QWERTY Keyboard Moto Mod and Vital Moto Mod - AndroGuider | One Stop For The Techy You! Motorola is expanding its Moto Mods portfolio with the addition of two new Mods for the Moto Z lineup: Vital Moto Mod and Livermorium Keyboard Moto Mod. The latest Moto Mods were announced at the ongoing CES 2018 in Las Vegas. Talking about the Vital Moto Mod first, the add on accessory is equipped with advanced health monitoring sensors that makes it capable of accurately measuring five key vital signs such as heart rate, respiratory rate, Pulse Ox, core body temperature, and even accurate systolic and diastolic blood pressure from your finger. The Livermorium Keyboard Moto Mod on the other hand is a full QWERTY sliding keyboard and tilts the screen up at a 60-degree angle. It has sperate number row, shortcuts for different utilities as well as Android navigation keys. Furthermore, the keys are backlit, so they are visible in the dark It packs 1700mAh battery, which adds up to 15 hours of extra standby time for Moto Z series. Coming to the pricing and availability, the Vital Moto Mod will be available in April for $395 (Rs. 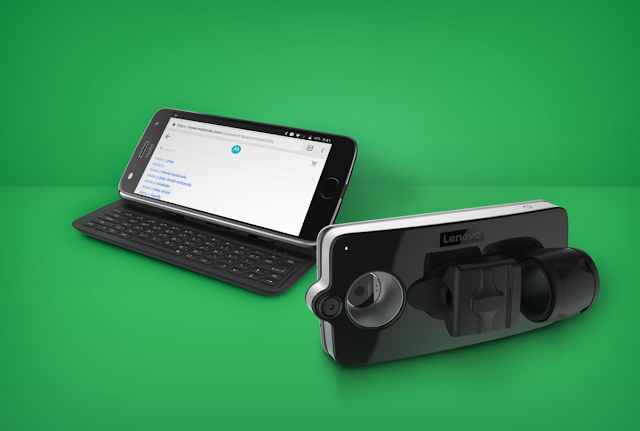 25,000) and Keyboard Moto Mod will hit the shelves later this year for $99 (Rs. 6,000).